In an age where man has his sights set on traveling the universe, migration here on earth continues by sea as it has done since ancient times. As the medieval Norseman was rebuked from Europe, the seafarers from North Africa are unwanted by a large portion of the Italian population, and are at the center of the country’s current economic debate. One would imagine that this is not popular with Rome’s European Union neighbors. 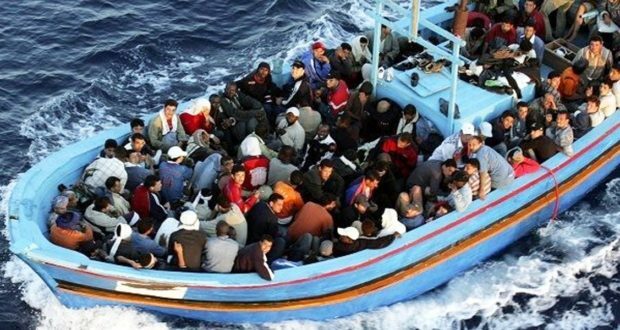 The movement has hit a nerve in a country that has seen some 750,000 seaborne migrants cross the Mediterranean from Libya since 2011. Along with the migration crisis, Italy’s longstanding weak economy coupled with continued corruption by the ruling elite, have made it ripe for anti-establishment government to begin to take hold. The nativist charge in Italy is being led by Interior Minister Matteo Salvini, who garnered 17 percent of the populous vote in the last election. Recent polls showed that 61% of Italians supported his hardline approach. Italy has become the port of call in the Mediterranean, along with Greece and several of the Greek Islands, for those seeking economic refuge. As such, the Italian government is currently allowing ships to dock at its Sicilian ports as long as the refuges are shuttled to another country in the European Union. 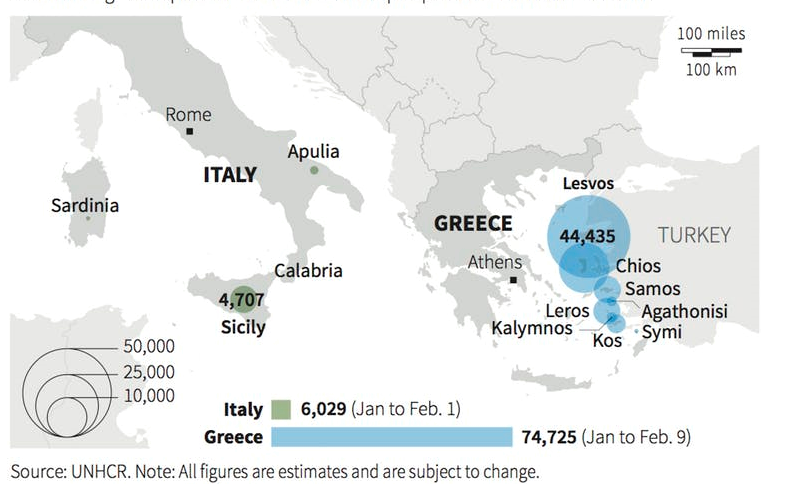 Almost all refugees and migrants from Africa, Asia and the Middle East first arrive in the southern portions of the EU and then move onward to the more prosperous countries to the north. In a brilliant doctoral these, Eleanor Paynter, Ph.D. Candidate at The Ohio State University has come to the conclusion that “Walls make migration more dangerous.” In other words, walls act as a deterrent to illegal immigration. According to Paynter, border walls have not stopped migration into Europe. It has just made it harder and less safe. So says the academic left. Look, nobody wants to see human rights violations anywhere around the world, but nations like Italy will no longer be sovereign if they do not attempt to protect their borders. Again, I offer you to look at history. In 476 C.E. Romulus, the last of the Roman emperors in the west, was overthrown by the Germanic leader Odoacer, who became the first Barbarian to rule in Rome. What was a thousand year dynasty was no more. No one is saying that the majority of refugees into Italy are organizing chaos, but only common sense says that there will be a faction of the migrants that won’t assimilate to Italian culture. Professor Paynter surmises that as the U.S. and the EU struggle to resolve their border crises, migrants will continue to flee their home countries seeking protection. Heightened border control certainly won’t make them safer. I’m pretty sure it didn’t take a doctoral thesis to put this opinion together. I will conclude that the state of Ohio will get more out of its football team than it will the good doctor. The Italian economy will continue to suffer unless it adapts policies similar to that of Salvini. Even the U.S. has eased up on the welcome mat that use to be put out at the southern California border. It was like winning the Publisher’s House Sweepstakes, where the ACLU would hand each illegal alien a driver’s license, social security and voter registration card, along with free access to Medicaid. Note the sarcasm. Illegal immigration from an economic perspective is serious, and will pose deleterious threats to the growth of countries that allow it to go unregulated. Why Do Investors Get Emotional About Stocks?